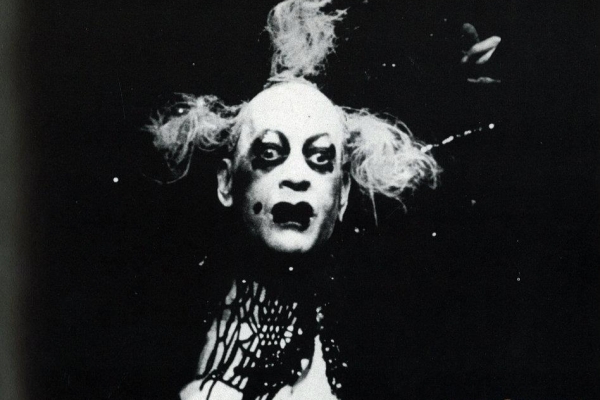 Born in South Shields, Lindsay Kemp was raised in Yorkshire and attended Bradford Art College before studying dance with Hilde Holger and mime with Marcel Marceau. 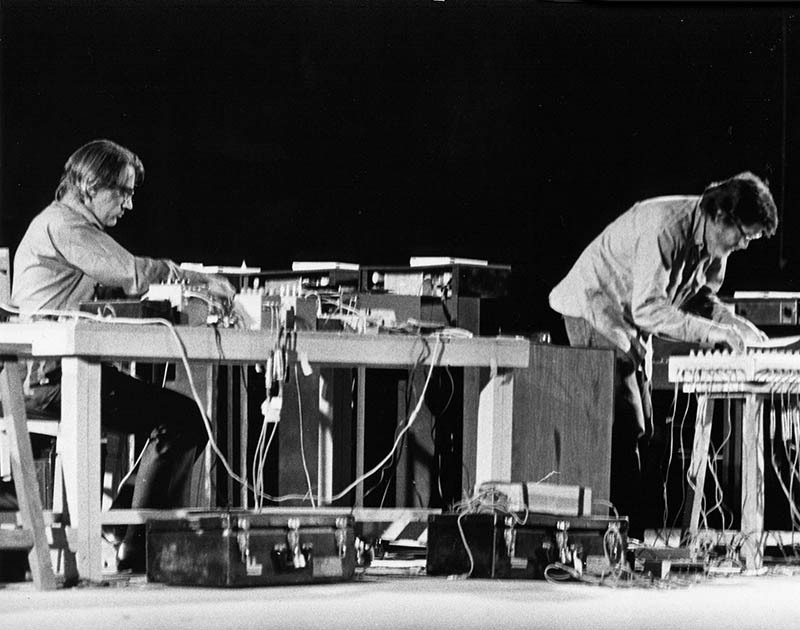 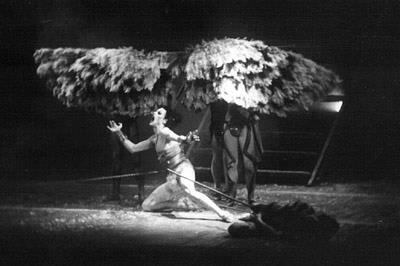 Kemp formed his own dance company in the early sixties and first attracted attention with an appearance at the Edinburgh Festival in 1968. 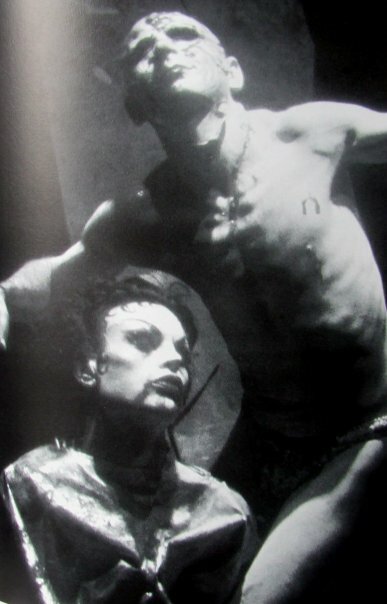 Despite thirty years of worldwide touring with his company and the occasional film and television appearances, Kemp is ironically best known by devotees of Kate Bush and David Bowie, both former students and, briefly, members of Kemp's company (Bowie as a performer, Bush as a wardrobe assistant). 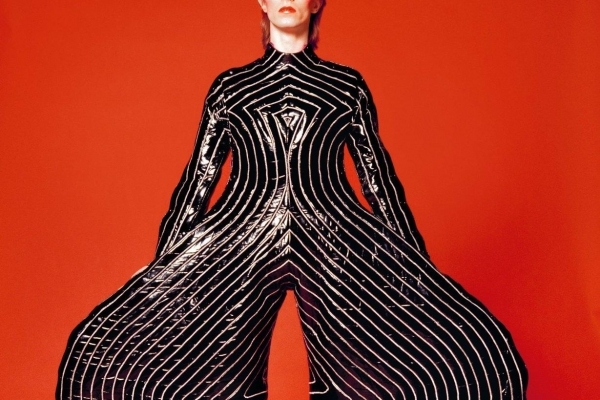 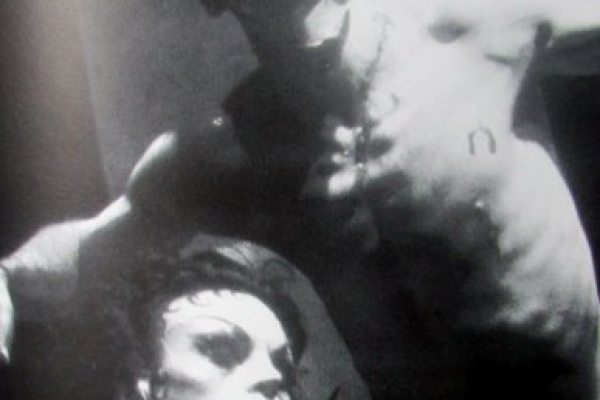 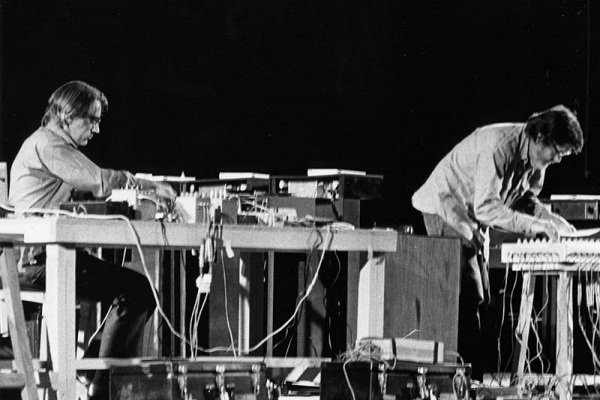 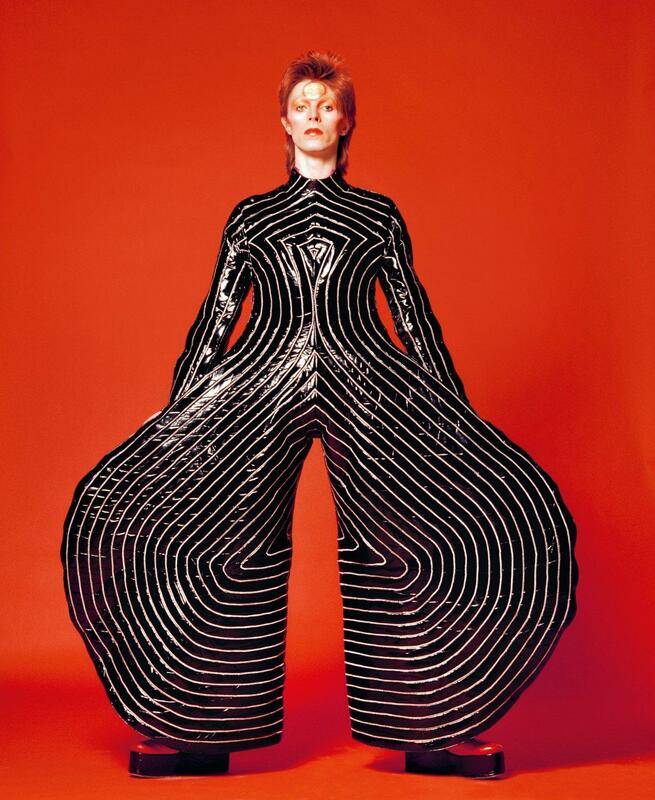 Indeed, it is rumoured - a rumour begun by Kemp himself - that he had a brief but volatile affair with Bowie in the late sixties, culminating in a failed suicide attempt more notable for its melodrama than sincerity of purpose. 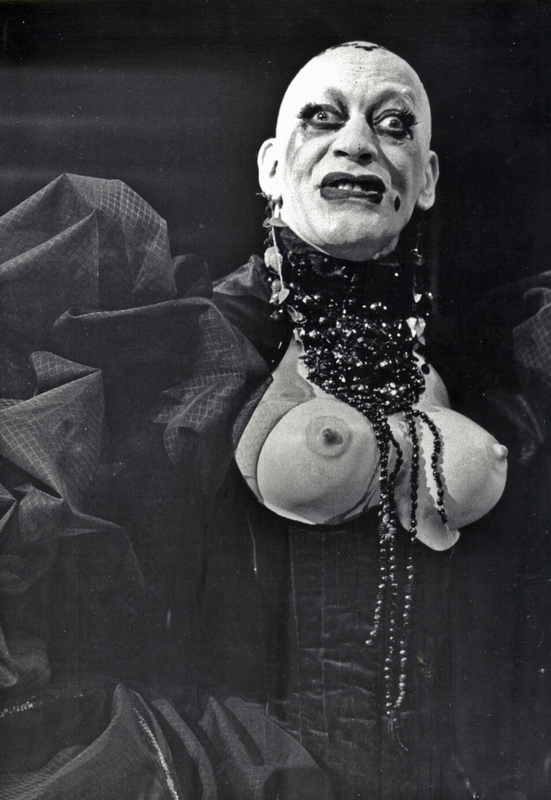 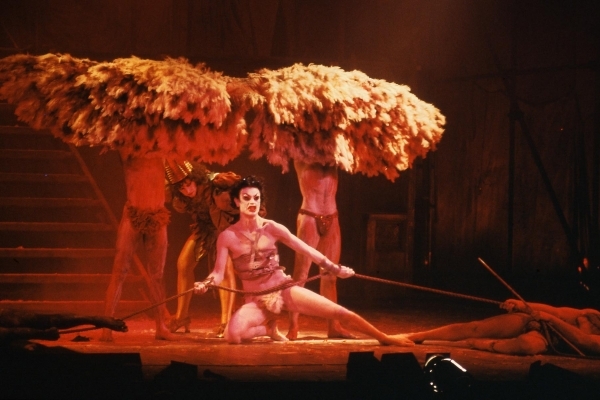 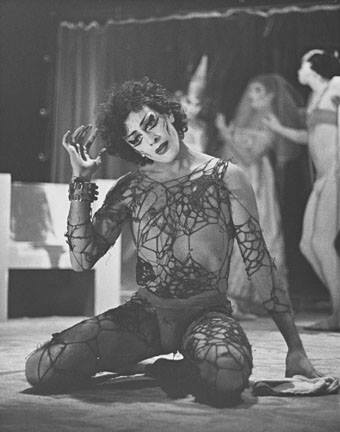 Kemp’s style of performance, a unique and seductive blend of Butoh, Mime, Burlesque, Drag and Music Hall, has at different times been described as fascinating, colourful and self-indulgent, but rarely fails to attract critical acclaim and a loyal fanbase. 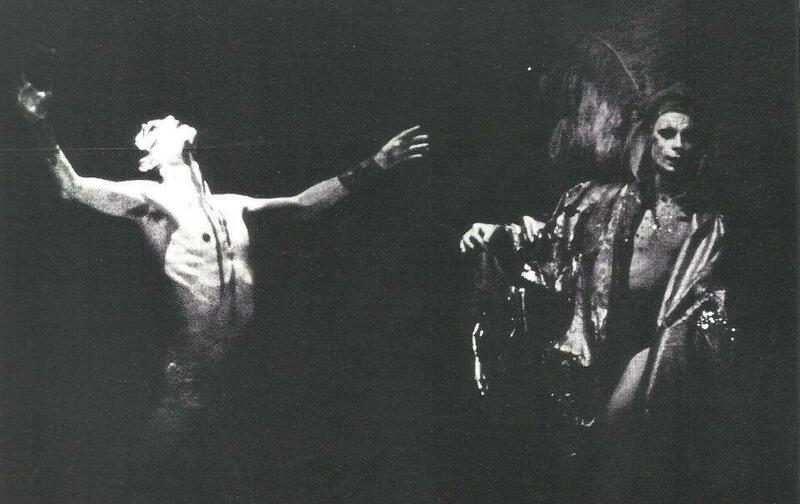 He staged and performed in David Bowie's Ziggy Stardust concerts at London's Rainbow Theatre in August 1972, and, with Jack Birkett (more on him below), appears in the promotional video for Bowie's single John, I'm Only Dancing. 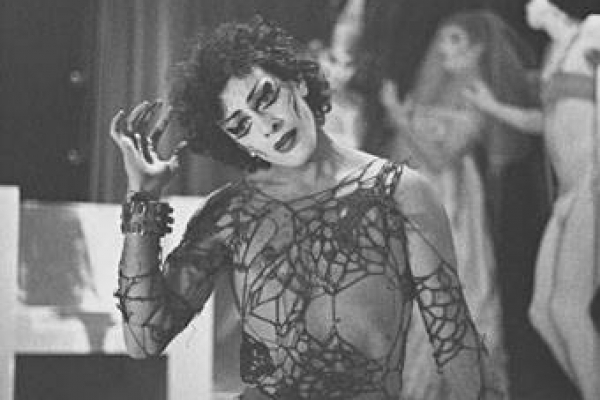 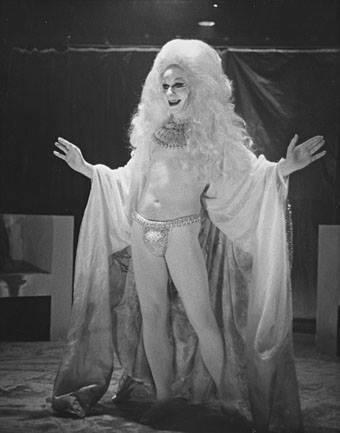 Kemp’s film roles include a dancer and cabaret performer in Derek Jarman’s Sebastiane (1976) and Jubilee (1977) respectively, a pantomime dame in Todd Haynes’ Velvet Goldmine (1998) and the wonderfully camp pub landlord Alder MacGregor in Anthony Shaffer's The Wicker Man (1973). 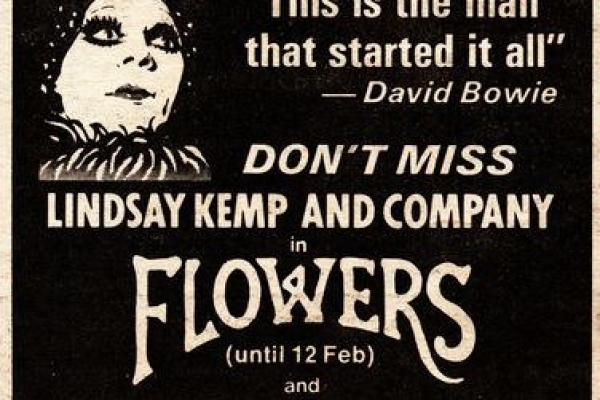 During the early 70s, Kemp was a popular and inspirational teacher of dance/mime with a regular two and a half hour session at the Dance Centre in Floral Street, Covent Garden. 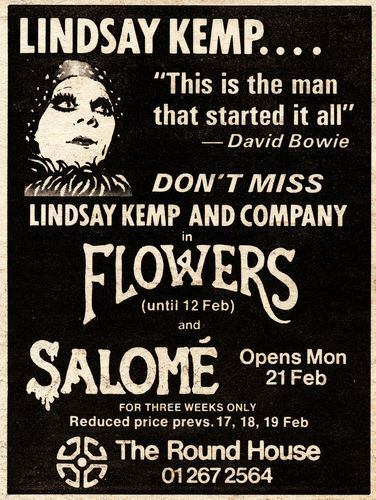 This was in the days before the Dance Centre became an up-market private club, and anyone could and did drop in. 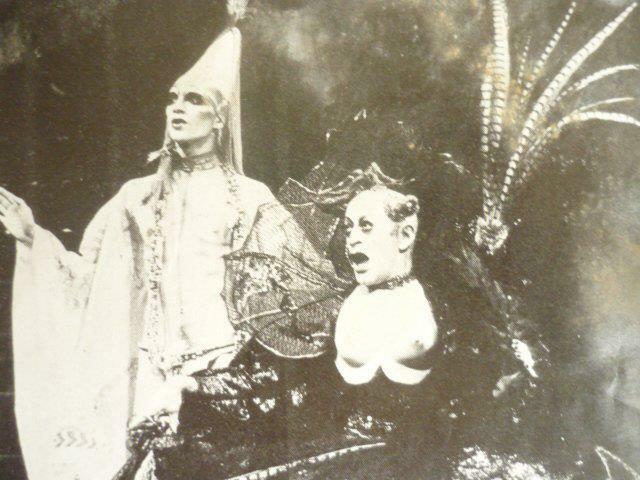 Classes were sometimes taken by Lindsay's unsighted friend Jack Birkett (aka 'The Incredible Orlando') whose flamboyance and mastery was such that uninitiated newcomers could go through a whole session without realising that they were being taught (and corrected) by a blind teacher. 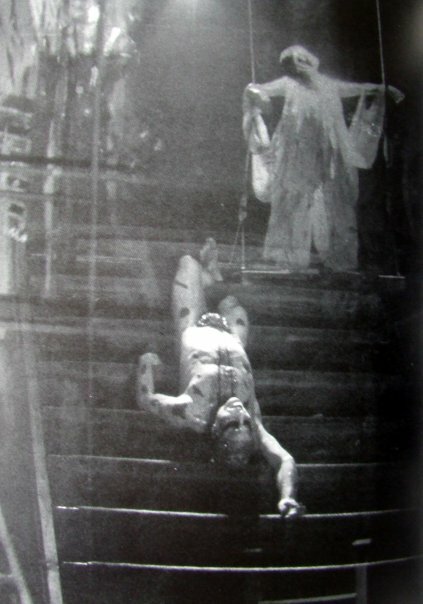 It was said that Lindsay had 'saved' Birkett from despair by re-training him after he lost his sight. 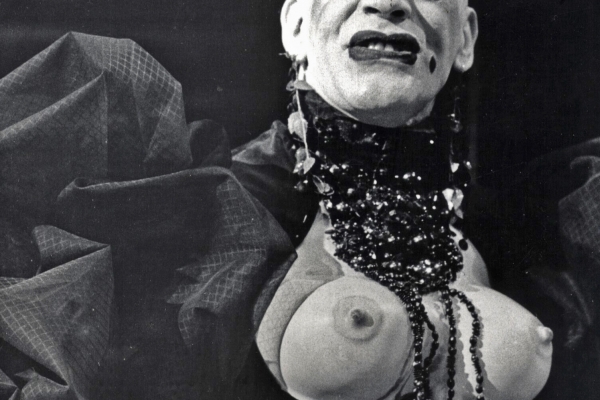 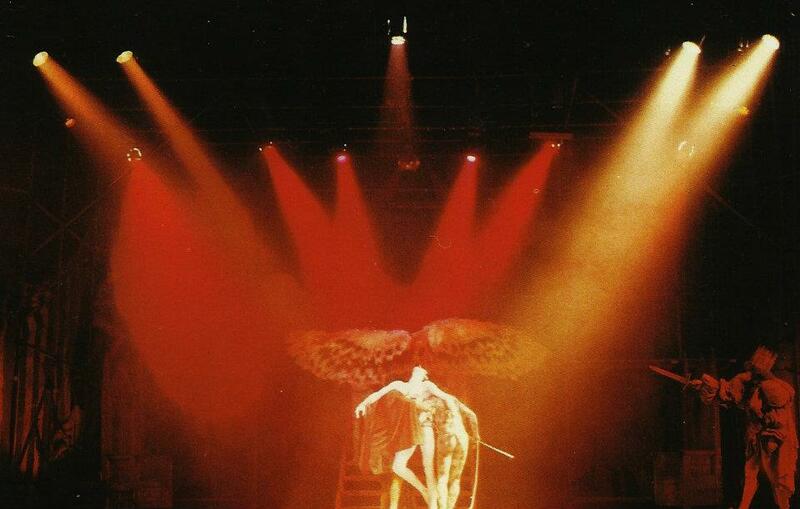 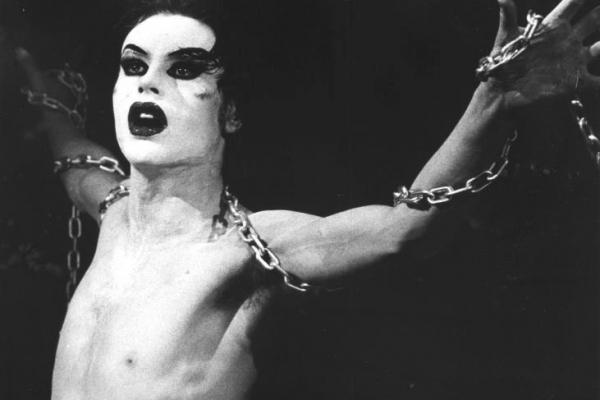 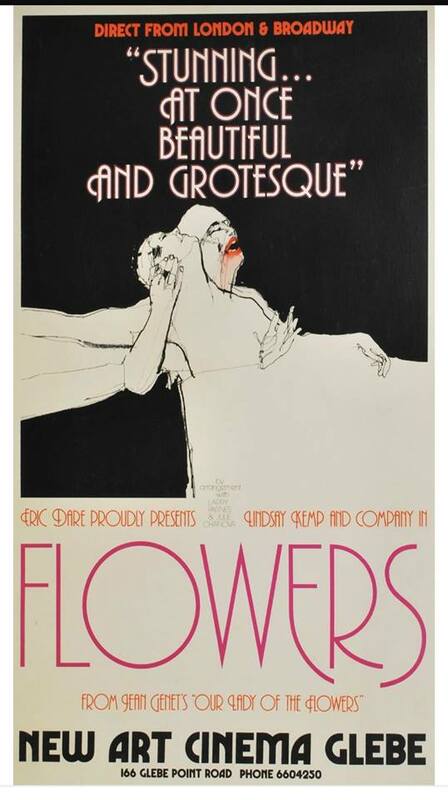 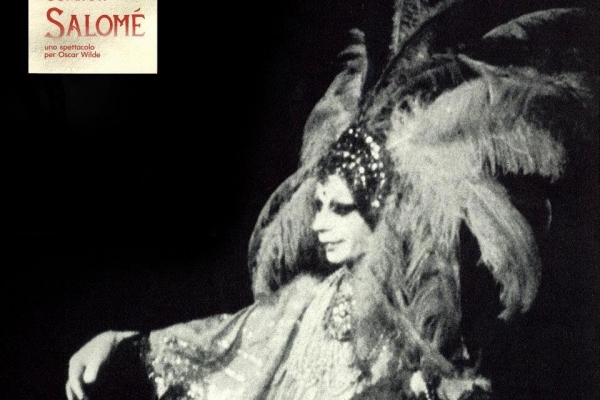 The Lindsay Kemp Company caused a sensation when they toured Australia and Kemp's powerful, emotive visual style influenced a whole generation of Australian directors and theatre professionals. 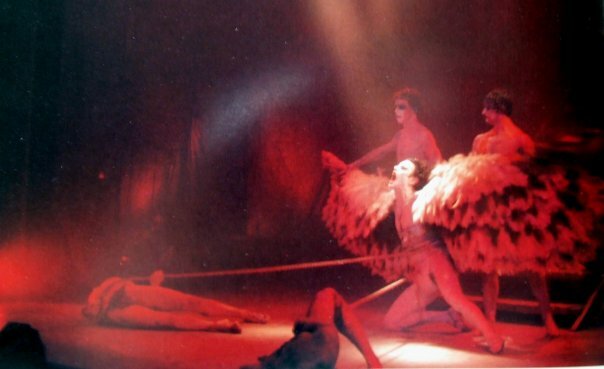 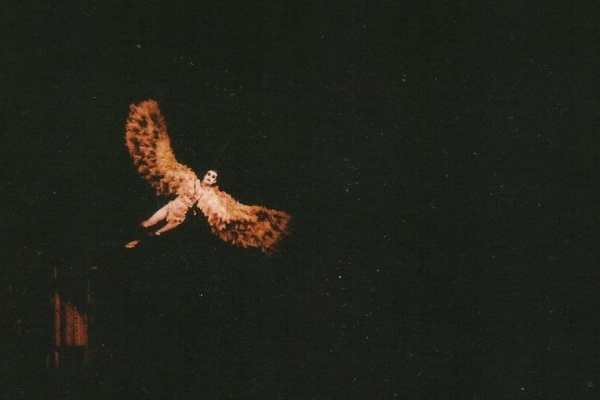 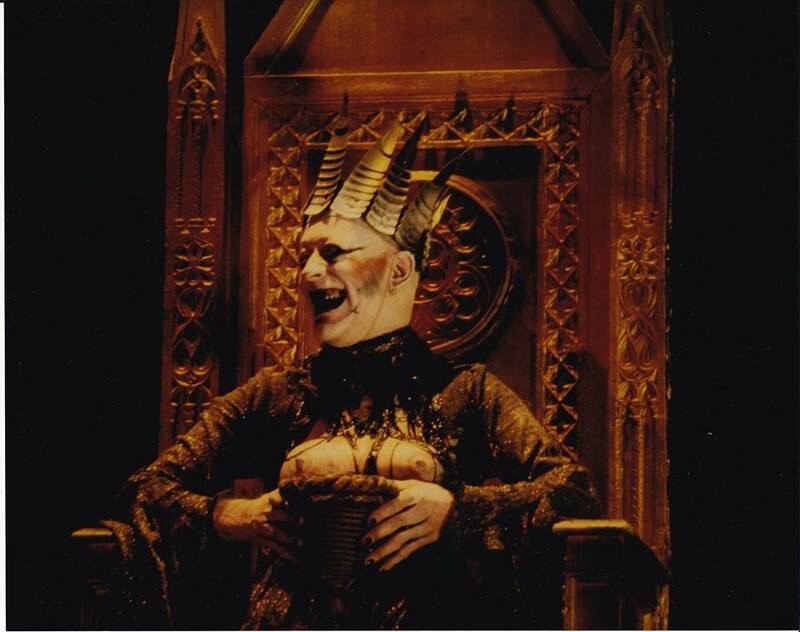 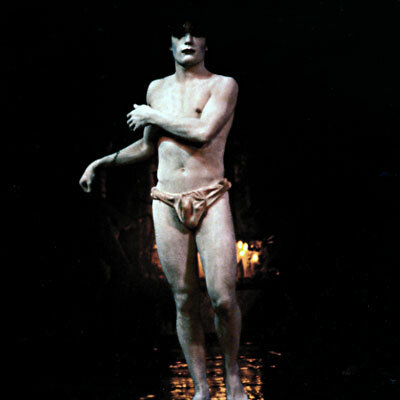 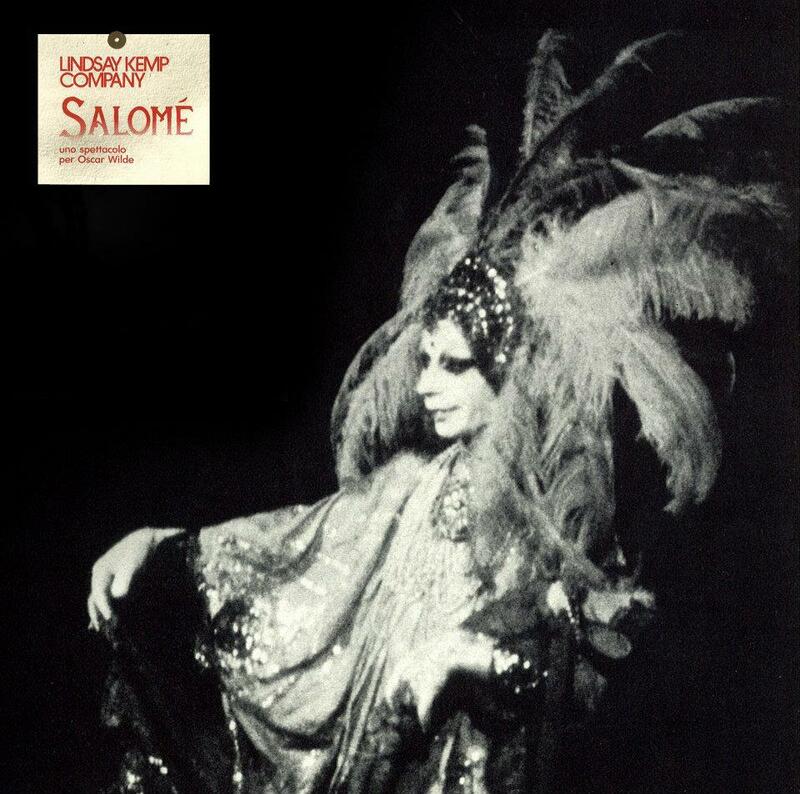 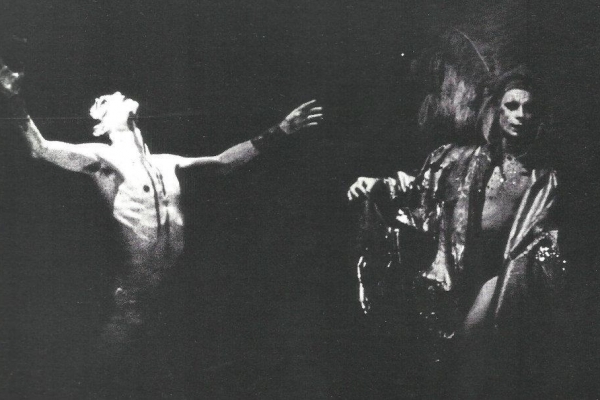 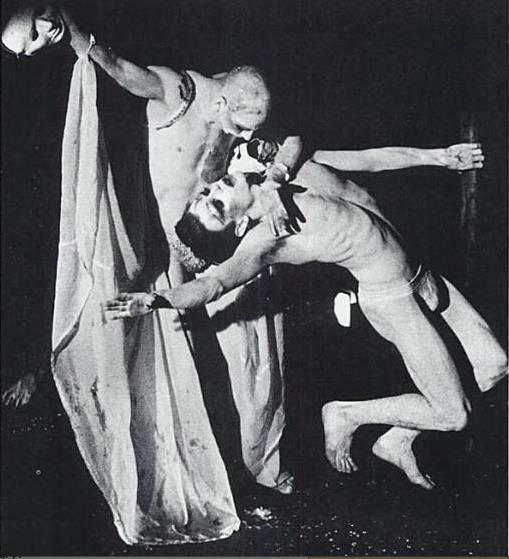 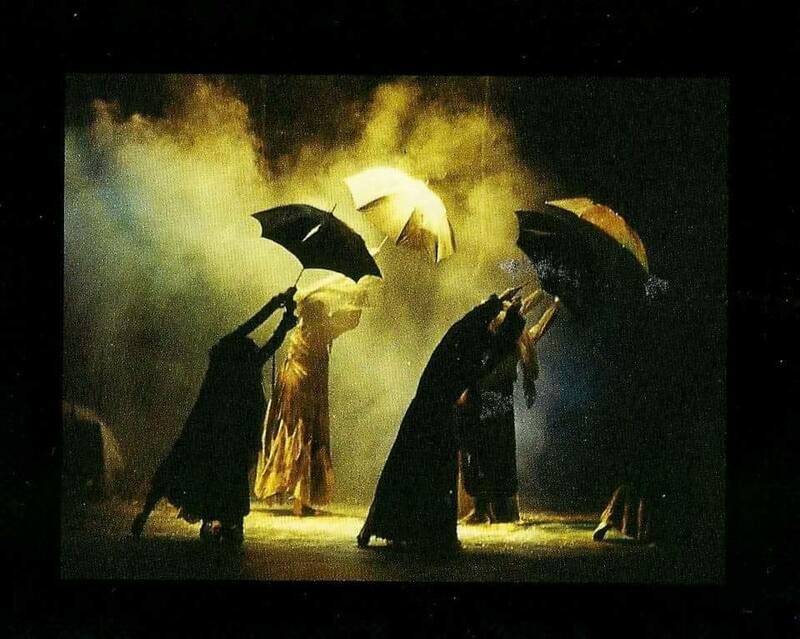 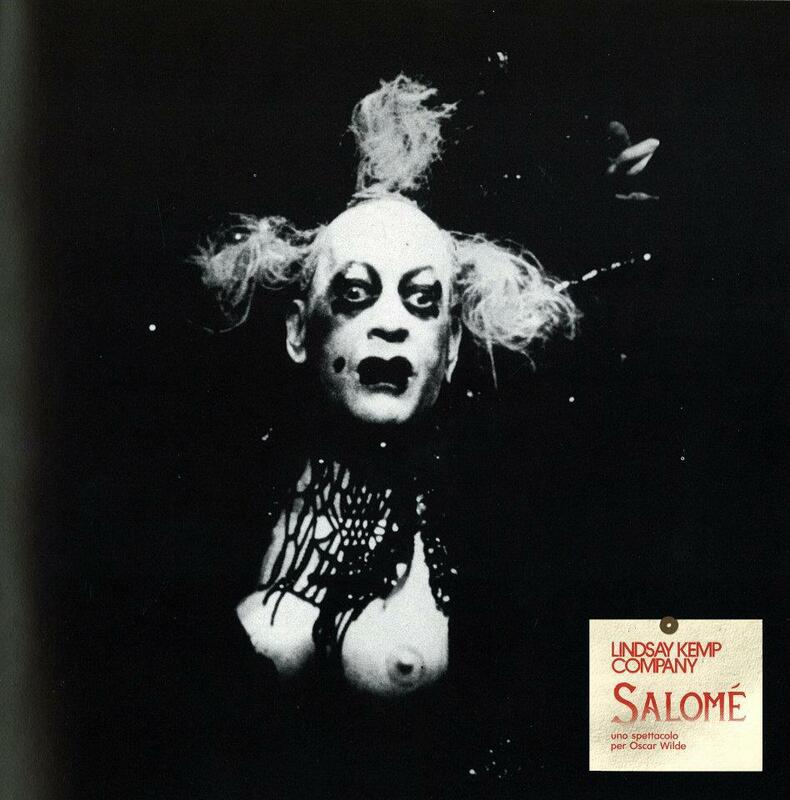 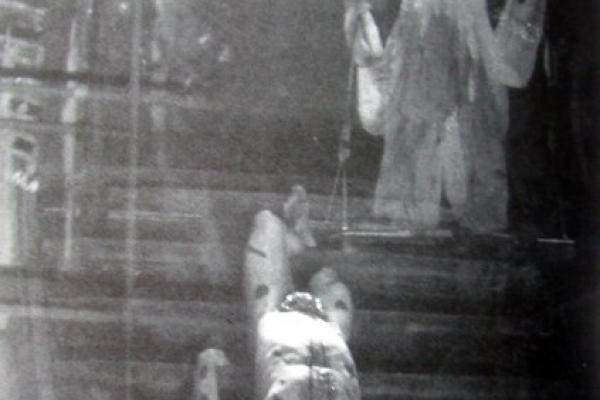 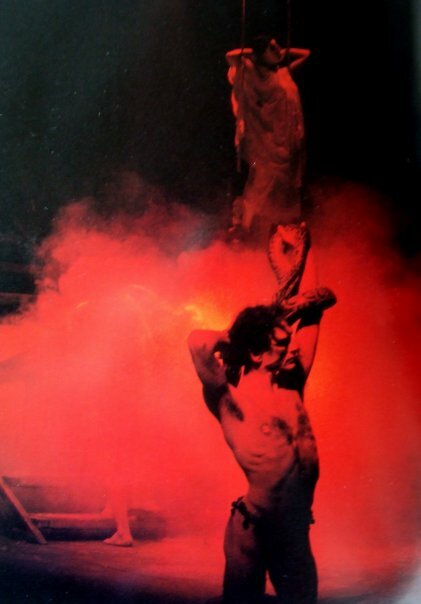 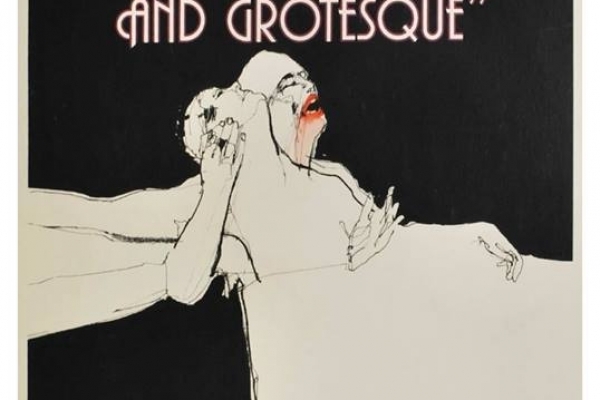 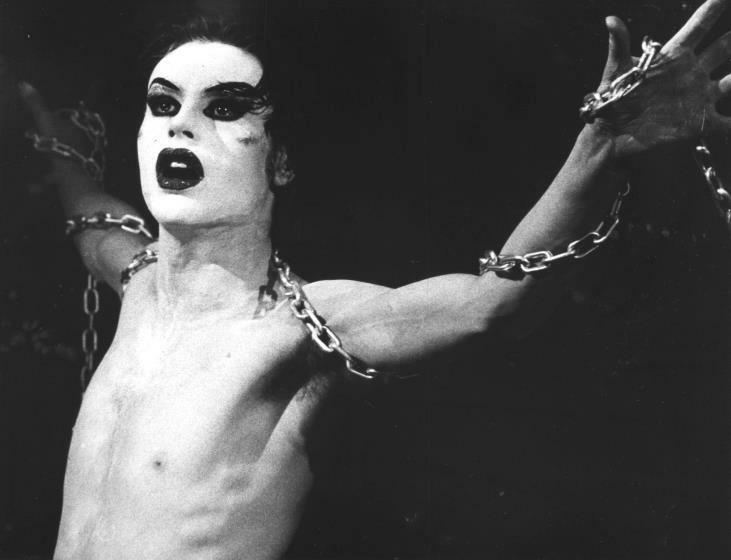 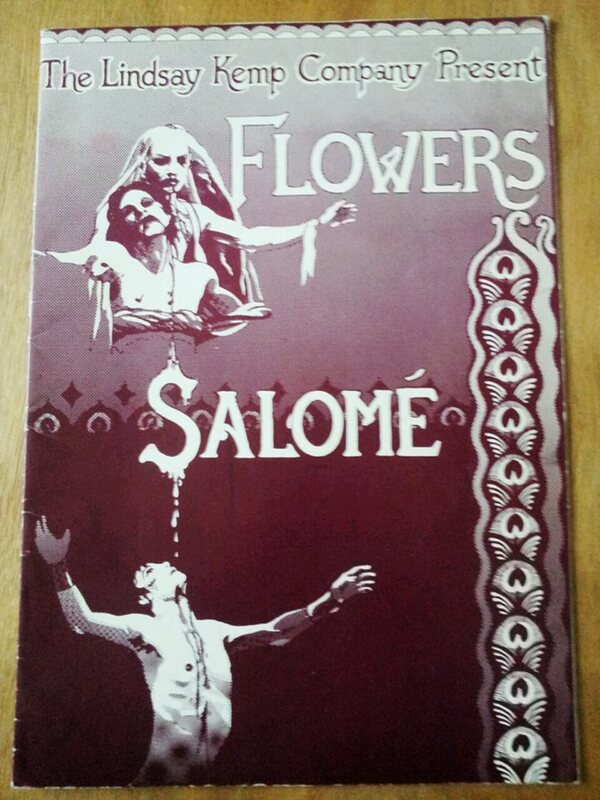 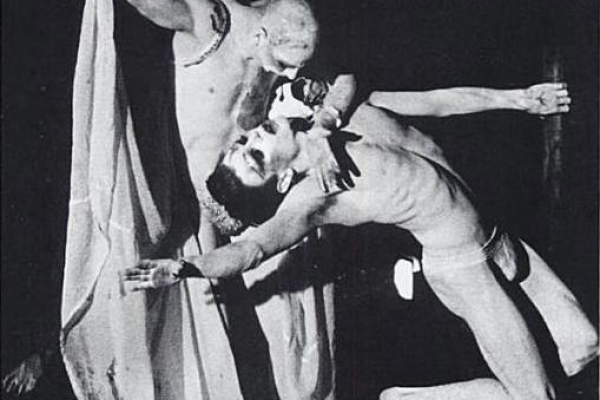 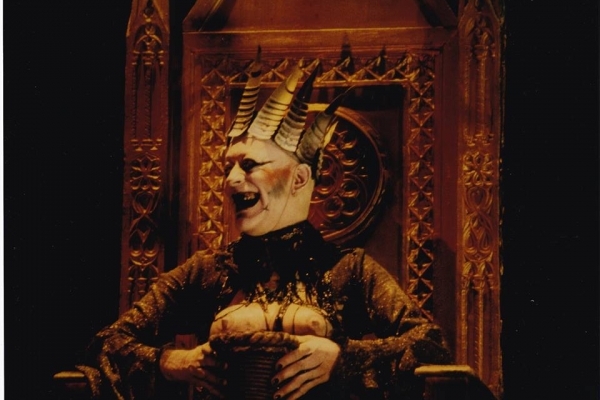 Lindsay Kemp Company - Excerpts from "Salome"